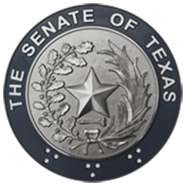 SB 1 appropriates $31.2B to the Texas Department of Transportation, an increase of $427M to address the state's transportation needs, including the full $5B transfer to the State Highway Fund from Proposition 7. The budget includes $4.3B from oil and natural gas tax-related deposits to the State Highway Fund for non-tolled roadway projects from Proposition 1. SB 1 includes an increase of $50M in Child Care and Development Block Grants to provide increased services at the Texas Workforce Commission. Statement from Senator Nelson: "Texas' economy is the envy of the nation. We have low taxes, a smart regulatory environment and a modern highway system, among other resources," said Senator Nelson. "Our economy continues to produce jobs and opportunities at a high rate, and we are committed to making sure every Texan benefits from our success."